Change is good and cozie! 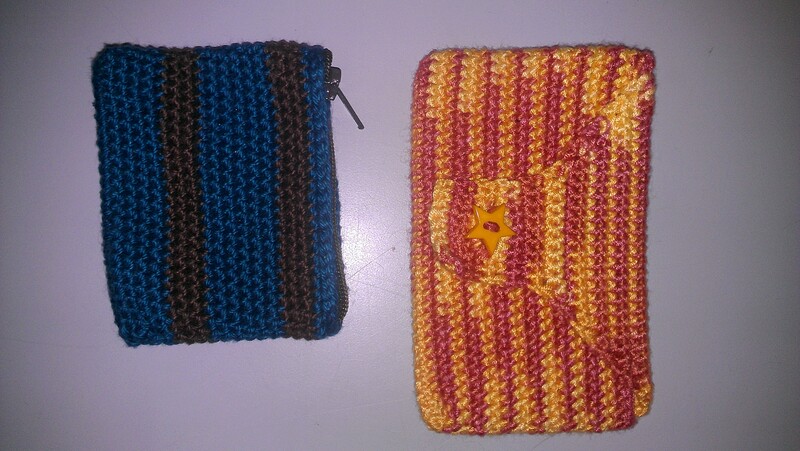 So the teal and brown one is a change purse with a zipper and the striped one is a phone cozie for my auntie! Easy quick cute gifts! Thank you Leslie and auntie m! Love you both!